I have reviewed several Effect Studio cables throughout the years, and while I wasn’t impressed with the initial cables I tested, Suyang took my criticism seriously and made some great strides in quality and performance. These are the first two headphone aftermarket cables I am testing, therefore the test will just compare the upgrade cable to the stock cable. Go to the Deals & Coupon Codes page for a THL exclusive discount. The Thor Copper cable sent by Effect Studio is compatible with the HD600/HD650 headphones I have on long term loan (thanks joker), but other headphone configurations are available such as the HE400, HD800, LCD-2, and LCD-3. 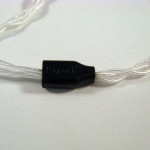 The cable is made with UPOCC SPC (silver plated copper) 7N purity wire that is cryo treated and soldered with Cardas silver solder. 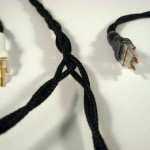 The wire is quad-braided below the Y-spilt twisted above, with no physical Y-split, just a separation of the wires. 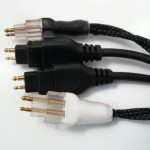 My review cable has the optional sleeve, which uses a sleeve over each individual wire instead of the entire cable, and Oyaide right angle plug which both add to the high quality look and feel. Comparing the cable with the sleeve to the un-sleeved Thor Silver, the sleeved Thor Copper has a much more robust feel that matches headphone better. 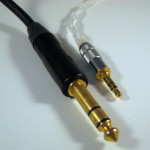 The left channel is indicated by black heat shrink on the headphone plug and white for right. The headphone connectors will only go in one way, which ensures the correct polarity, and is determined by pin size. The cable was a joy to use as I couldn’t ask for anything else from the cable in the form of ergonomics, tangle resistance, or memory effect. Build quality is excellent, with over-mold headphone plugs that are close in overall size to the stock, but are made from a bit harder material. The jacks fit securely, but they aren’t quite as tight as the stock cable jacks. Sonically, the differences are quite large and I experienced sound signature shock when going from the Thor Copper back to the stock cable. 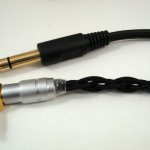 The stock cable has a more mid-forward presentation that sounds artificially pushed forward in comparison with the Thor cable. Spatially, the Thor Copper cable presents with a larger space, improves instrument separation, and cleans up the presentation making it easier for details to be heard within the presentation. 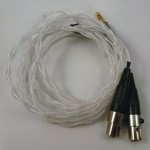 Bass is also presented differently, as the Thor Copper cable adds deep bass presence with a bit less warmth, but also really cleans up the bass. The treble is slightly more laid back and cleaner on the Thor Copper, and combining all of the traits of the upgrade cable, the result was very noticeable to me. Swapping back and forth between the cables kept letting me know the HD600 can reproduce more detail than the stock cable allows! If you want a more open, spacious, clean, tight, and detailed presentation, the Thor Copper cable will do so, at least with the HD600. Summary: Combining excellent craftsmanship, ergonomics that is exceptional, and a good sonic improvement over the stock HD600 cable, the Effect Studio Thor Copper cable is a winner and highly recommended. For other options, see the product page. 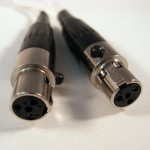 The Thor Silver is the latest creation from Effect Studio, and the cable provided for review has connectors for the LCD-2. The wire is made from pure OCC silver that has been cryo treated and Cardas silver solder is used for the construction. 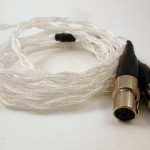 The wire is quad-braided between the input plug and the Y-split and twisted from the Y-split to the headphone connectors. The cable has a very nice look overall, with a fairly loose braid before the hard plastic Y-split and twisting that isn’t too tight, but stays in place. 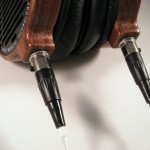 The LCD-2 plugs are similarly sized to the originals, but the strain relief is much shorter, which works since the cable is more flexible and thinner in diameter. There are significant size differences between the stock cable and the Thor Silver cable. The channels are indicated by black for left and white for right. The ergonomics of the Thor Silver cable are good, and overall for a headphone cable it performs fine, but is more susceptible to maintaining twists and kinks than the Thor Copper with sleeve, or a cable such as the one for the stock HD600. 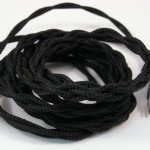 While the cable is quite tangle resistant, if a twist gets in the cable it will tangle. There is also some memory effect, as the cable doesn’t hang straight down, and the cable does have a stiffness to it that will cause the whole length to move when moving your head. That said, the ergonomics are superior to the stock LCD-2 cable which is much stiffer and thicker, but works due to the massive size of the headphones themselves. 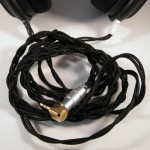 The Thor Silver cable fits the LCD-2 just like the stock cable and is secure with a button release lock. Sonically, the Thor Silver presents with a bit more width and distance while adding layers of depth to the presentation giving a more airy sound. 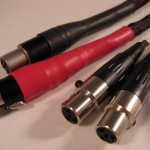 With the stock cable, the center image is more in-head than with the Thor Silver, resulting in the Thor Silver sounding more natural and transparent. 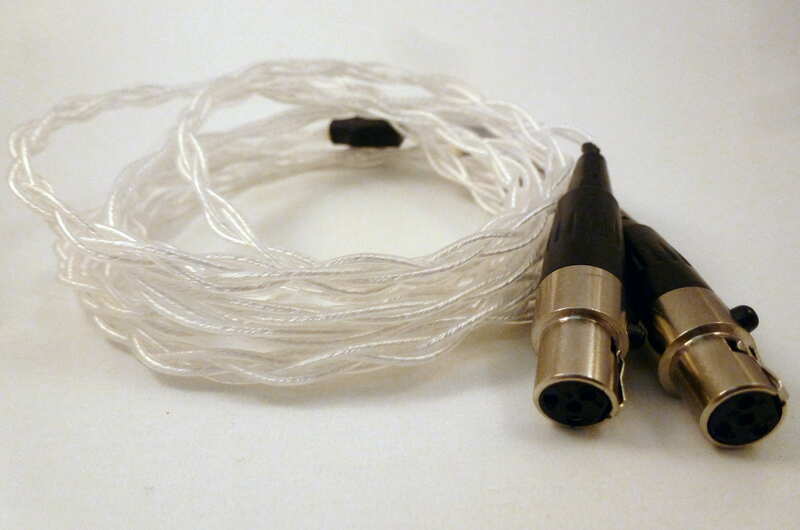 The top end also comes through clearer with the Thor Silver cable, and details are easier to hear in the upper end, but the bass is a bit more refined and tighter with the stock cable. The Thor Silver does have a bit less deep bass and a bit more mid-bass compared with the stock cable. Overall, there are improvements to the sound, but not to the extent of the Thor Copper with the HD600. Summary: The Effect Studio Thor Silver cable is a nice upgrade cable that is more ergonomic and easier to use than the stock LCD-2 cable and offers a slightly more spacious sound that adds better depth and layering to the sound. Hey Joe. Do you have any impressions of either of these cables with the Hidition NT6 or the Viento?